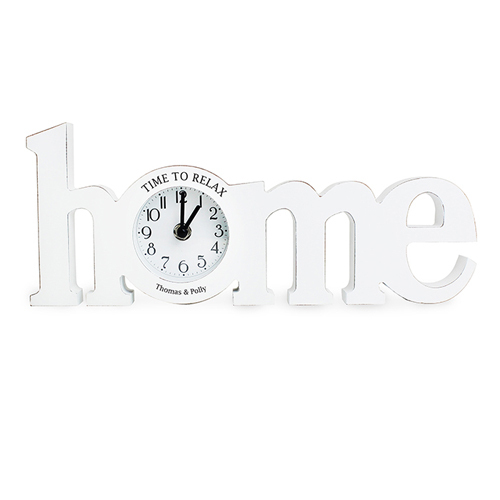 You can personalise this wooden clock with 2 lines of text. Line 1 will appear at the top and you can have up to 20 characters in length (which will appear in UPPERCASE). Line 2 will appear at the bottom and you can personalise with up to 50 characters in length (this line is case sensitive, so the personalisation will appear as entered). Ideal for New Home, Mother's Day, Christmas, Birthdays.